ACI Company modified a product that is Mosquito coil and later it also modified. When our company Modifies mosquito coil into potential market, many people purchase our product. But later, because of strong competition, our company modified its coil. Our mosquito coil features are that it contains two features; it also works as mosquito repelling and AIR Fragrance. Our Mosquito Repelling Air Fragrance coil quality is very much standard than other coil. We analyzed what are the strengths for our company. We see what the opportunities for our company’s features are. Our Mosquito Repelling Air Fragrance coil also faces some threats and we overcome these threats. We also analyzed what are the weakness point and solve these weaknesses. We discussed what are the major barriers or limitation for our coil. We also discussed how process our goal. Our company segmented its product and we believed that it will achieve its goal. Mosquito coil is a very common product in our country. All stages of people use mosquito coil. Different companies have different mosquito coil. Let, we are also a manufacturing company and to develop our market share we are now going to redevelop of our Mosquito Repelling Air Fragrance coil. The purpose of the report is to develop its secure you from mosquito, because mosquito spread many dieses and new value add Air fragrance fragrant your home, to elaborate our thinking as well as “redevelopment of mosquito coil”. ACI Mosquito Coil is the Home Care category products of ACI Consumer Brands. It is also produced in ACI Formulations. ACI Mosquito Coil also has some differentiation based on color, shape and fragrance. These are: ACI Mosquito Coil Green, Mosquito Repelling Air Fragrance coil, ACI Super Coil and ACI Super plus High Booster Coil. ACI Coils enjoys very predominant position and fighting to become absolute leader in the market place. * Inert Ingredient : Plant Powder, Color perfume and Benzoic acid. 4. Quality: According to sample standard. Fragrance: 1. The state or quality of having a pleasant odor. 2. A sweet or pleasant odor; a scent. 3. A substance, such as a perfume or cologne, designed to emit a pleasant odor. 6. Keep it out of fans air. ACI Mosquito Repelling Air Fragrance coil is DDT free special quality with higher strength having more than 8-10 hours burning time in natural condition. Produced as per 2.2 (P-3) special specifications by ACI Insecticides Ltd., Dhaka, Bangladesh with technical assistance of Earth Chemical Co. Ltd., Kobe, Japan an associate company of Otsuka Group of Japan. The active ingredient “d-Allethrin” used in our coil is a world famous insecticides as one of the safest Mosquito repellent produced by Sumitomo Chemical Co. Ltd., Japan. We are renowned as fine quality Mosquito Coil Suppliers and we are offering them in both Green and Red Colors. They are highly effective against mosquitoes and are offered in varied fragrances (jasmine & lemon). Fast results and eco friendliness are other features. Moreover, they never harm humans and environment. Our products will burns and protect you all from all kind of mosquitoes up 8 to 12 hours. ACI is our brand name. Mosquito Repelling coil has now different kinds of value add like its Air fragrance, fragrant home. Mosquito Repelling Air Fragrance coil offering them in both Green (lemon Fragrant) and Red (jasmine Fragrant) Colors. Mosquito coils are particularly useful for protection against mosquitoes when sitting outside at night. But Mosquito Repelling Air Fragrance coil can give some bad effect to our health. The coil is made from a chemical thing which will makes the mosquito’s eyes get pain when they enter the smoked area and will lead them to avoid the area. Sometimes feel pain when there is too much smoke in the room. This is how it shows that it gives the effect to us the human even. Mosquito Repelling Air Fragrance coil are burned on specially designed metal stands, or placed inside more attractive-looking mosquito coil holders which contain holes to let the smoke out. The holders can usually be hung up or laid flat. Each coil slowly burns for around 8 to 10 hours, during which time repelling active ingredients such as pyrethroids or pyrethrum disperse with the smoke. The combination of ingredients in the smoke coil prevents mosquitoes from entering the surrounding area, encourages them to leave the area if they have not already done so, or knocks the insects down and kills them. When coil burn, its spread a sweet smell like an air fresher. So human don’t feel uncomfortable. We use sample and follow nice ash tray by a reasonable price, for the promotion of our products. We can give marketing promotional tools like media advertisement, posters, booklet and billboard and also publish in internet but coming Eid Festival work some different. We wants enter in Bangladesh mosquito coil market to target up coming Eid Festival. Majority people of Bangladesh are Muslims. So Eid-ul Fittar is the largest festival for Muslims ummah. By this reason we designed our product in a different way. Who will bye our products, they can get 2 box of coil with a nice ash tray by a reasonable price. Ash tray can safe us from unkind incident. We can also free our home from coil ash. We specialize in offering superior quality mosquito coils, which are purchased from trustworthy vendors and burn for longer period. 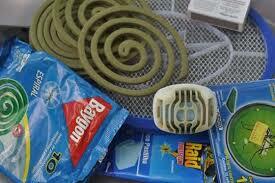 Our range of mosquito repellent coils is one of the most trusted and effective means of treating the mosquitoes. Used to keep mosquito away from houses, this has a clinically tested chemical that is safe for the human kind. We always pursue people safety and healthy life. So we try to introduce a new product like our Mosquito repelling air Fragrance coil. By using this product it’s secure you from mosquito, because mosquito spread many dieses. This product has also extra benefits. It does remain fragrance your home. Because our mosquito coil add air freshener which makes a room smell pleasant. So we represent two different flavors mosquito coil (jasmine & lemon). i) Our financial position is good. ii) The image of our Mosquito Repelling Air Fragrance coil is good all over the country. iii) Our liquidity is fine. i) Lack of huge advertisement. ii) Cost of production is high. iii) Product price is high. iv) Lack of importing raw materials. v) Less number of flavors. i) To redevelop the product. ii) To increase market share. iii) To get new customers after redeveloping. iv) To provide more qualities in our Mosquito Repelling Air Fragrance coil. v) Providing more flavors in our Mosquito Repelling Air Fragrance coil can increase more customer satisfaction. vi) Our market reputation will increase also. vii) Our profit margin will increase as well. viii) To increase the advertising. ix) To decrease the product price. x) To decrease cost of production. xi) To increase of importing raw materials. xii) To increase the distribution channel. 1. We hope earn an annual rate of return on investment over the next one year of 19 percent after tax. Over the year. 2. Produce net profits of TK 400,000 in 2014. 3. Achieve next year total sales revenue of TK 2,380,000 based on an average price of 10 per box. 1. Expand consumer awareness of the Mosquito Repelling Air Fragrance coil from 18% to 40 % over the next year. 2. Achieve yearly other Mosquito Repelling Air Fragrance coil sales volume of 170,000. 3. Expand the market share mosquito coil like foreign country impact people. 4. Expand the number of dealers by 15 %. Income level: From our survey among 250 respondents we find that 70 respondents are in the income level of Tk.2500 – 5000, 45 respondents are in the income level of Tk.5000 – 10000, 75 respondents are in the income level of Tk.10000 – 15000, 40 respondents are in the income level of Tk.15000 – 20000, & 20 respondents are in the income level of above Tk.20000. Occupation: From our survey among 250 respondents we find that 70 respondents are Business man, 60 respondents are other people & 120 respondents are service holder. First time distribution Location: From our survey among 250 respondents we find that 120 respondents live in Dhanmondi, 50 respondents live in Mohammadpur, 38 respondents live in Jattrabari and 42 respondents live in other area of Dhaka. Channel Distribution: We distribute our channel a point of different ways. Our Head Distribution Point will be established at Dhaka, which is controlled 7 Divisional Distribution Point. And Divisional Distribution Point controlled General Distribution Point or general dealer, which is situated almost near the people. Feature: From our survey among 250 respondents we find the following comments about the feature of mosquito coil and Mosquito Repelling Air Fragrance coil. Advertising: From our survey among 250 respondents we find the following comments about the Advertisement of Mosquito Repelling Air Fragrance coil. Outlet: From our survey among 250 respondents we find the following percentage from where they purchase mosquito coil. Target customer: From our survey among 250 respondents we find that all people such as lower income level, middle income level & upper income level are target customer of Mosquito Repelling Air Fragrance coil consumer. The value we added for the development of mosquito coil will cause the price of it to grow little bit high but this will cause a change to the coil industry. Because of this new design and Mosquito Repelling Air Fragrance coil it will help fragrance home and to decrease the dieses, because people throw mucky which is currently a big issue of our country. At the end we can say that, we used ACI Mosquito Repelling Air Fragrance coil for making this report. The reason we choose ACI COMPANY because it is one of the well-known companies of Bangladesh, and day by day it losing its popularity. By adding this value we want to get back its popularity, and in hopes of ACI will not only be popular in Bangladesh but as well in other nations around the world.